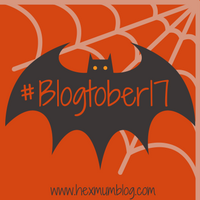 Today I am running late with my #blogtober17 post because we have been on the road for ten and a half hour so I am only just now sitting down. I was pretty amused then to discover that today primrose is unusual crushes! I have heard of so many Mum’s fancying the likes of Mr Bloom and kid’s TV host but they don’t do it for me. I have over the years had some unusual crushes so I shall cringe and share them here. Crush number one. Meat Loaf. What can I say, the man can absolutely belt out a love ballet that makes me go weak at the knees. I dated my first boyfriend when I was 16 because he looked like a younger and slightly thinner Meat Loaf and he really could sing like him too. Crush number three. Bernard Black from Black Books / Dylan Moran. I watched a LOT of Black Books during uni and I absolutely loved the hopeless charm of Bernard Black and his wonderful Irish accent. I have seen Dylan Moran live as a stand up comic but unfortunately didn’t find him very funny so really my crush is reserved just for his Bernard character and not himself. Obviously that is important otherwise of course I’d stand a chance! So let’s hear your unusual crushes? Anyone share mine? Snap, I have Alan Davies as one of my crushes today too! And I totally get Meatloaf too. Ahh, I had a bit of a crush on Alan Davies (as Jonathan Creek) in my teens too. Not now though, I don’t really have any crushes these days. I totally understand the fancying a character rather than the actor thing though, I used to fancy Jack Sparrow but wasn’t that keen on Johnny Depp!